Boomi Flow apps work seamlessly with Salesforce. 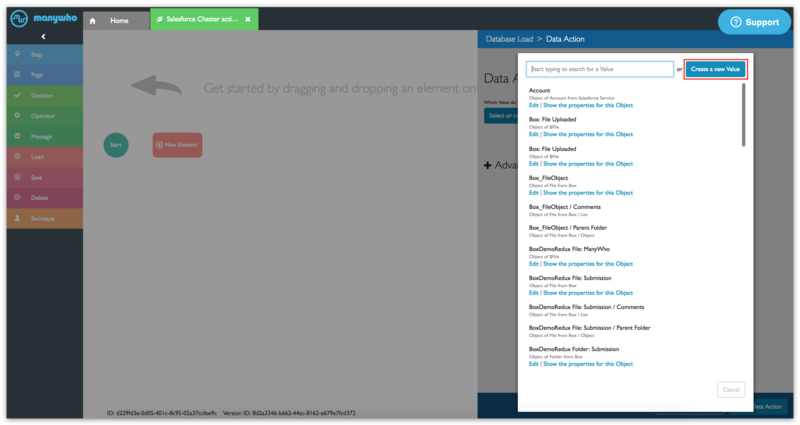 You can embed a flow in a console tab, where clicking a tab launches a flow. 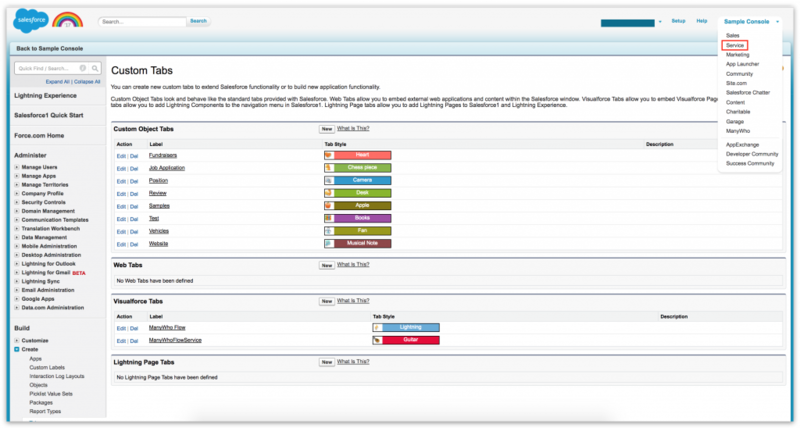 The end-user does not have to leave Salesforce for this – the flow works from within Salesforce. 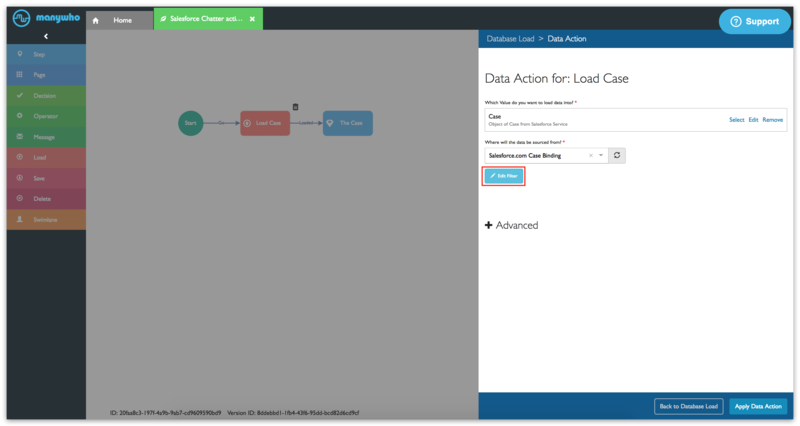 To embed a flow in a console tab, you will first create a clone of the ManyWho Visualforce page and hard code it with your Flow ID. 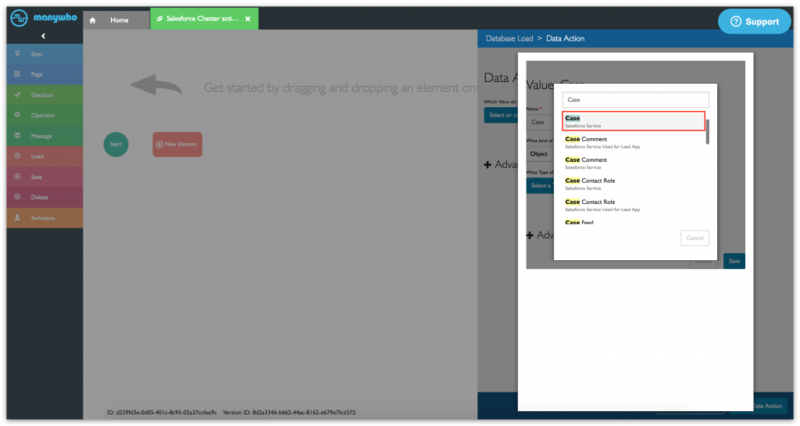 You will next create a new Visualforce Tab and use the Visualforce page you just created. You can style the tab according to your preference as well. 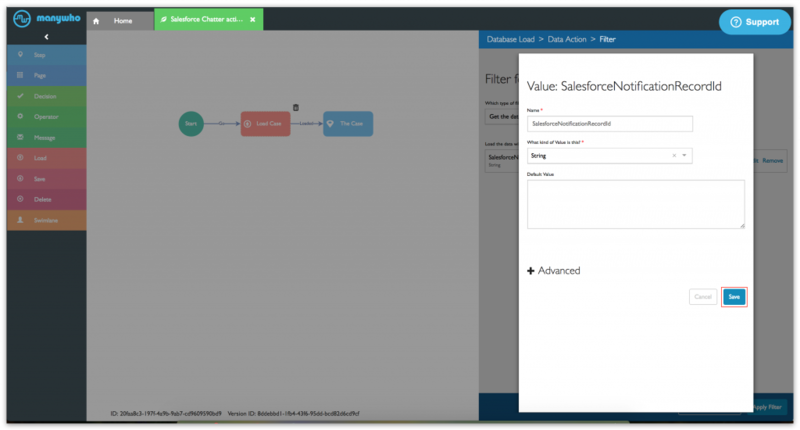 Once you save the tab, the tab is available with the embedded flow in the Salesforce Service Console. If you need to take a closer look, click on the images to enlarge them. Have a question? Click the Support button on the bottom right-hand corner of this page to ask. Note: This is the same flow used in Tutorial: Embedding a flow in a Salesforce Chatter action. You can reuse the flow if you have it available. Drag a Load element from the sidebar to the canvas. 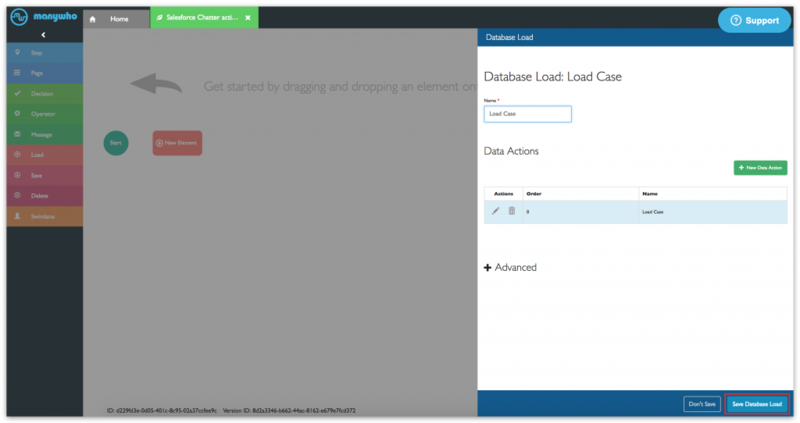 In the configuration panel, type Load Case in the Name field. Type Case in the Name field. 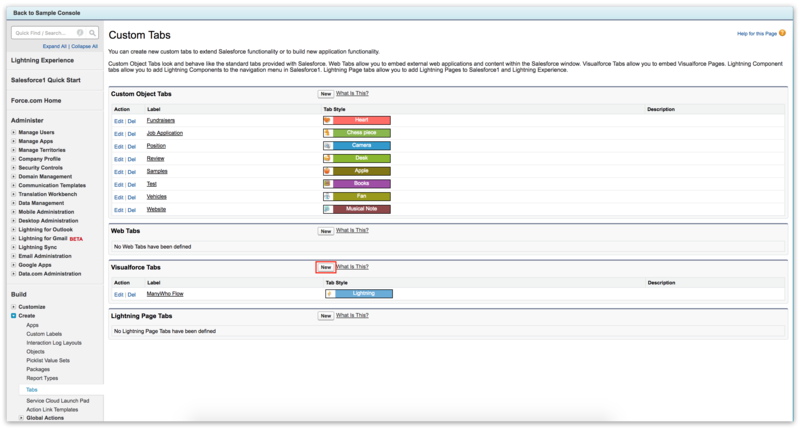 Enter Case in the Search field and select the Case associated with the Salesforce Service. 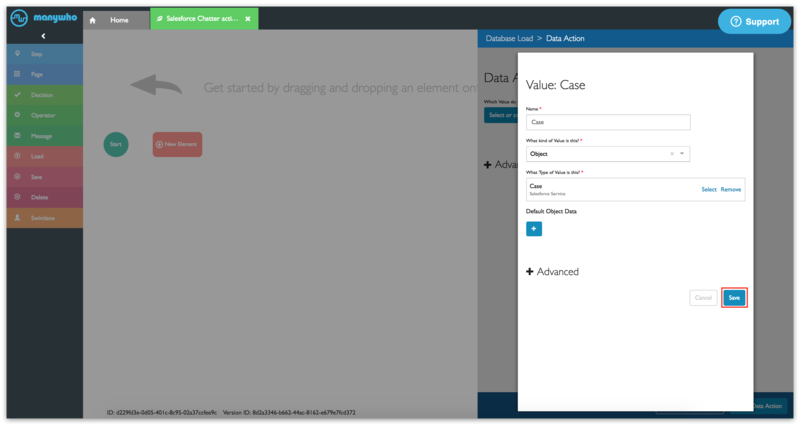 Select Salesforce.com Case Binding for the Where will the data be sourced from? field. Click Edit Filter. You will now configure which Case object should be loaded from Salesforce. Select Get the data based on a unique identifier for the Which type of filter should be used? field. In the Configuration Panel, type The Case in the Name field. Type Case Subject: in the content editor. Select Case/Subject from the Value menu and click Ok. This inserts the Case/Subject value in the editor. 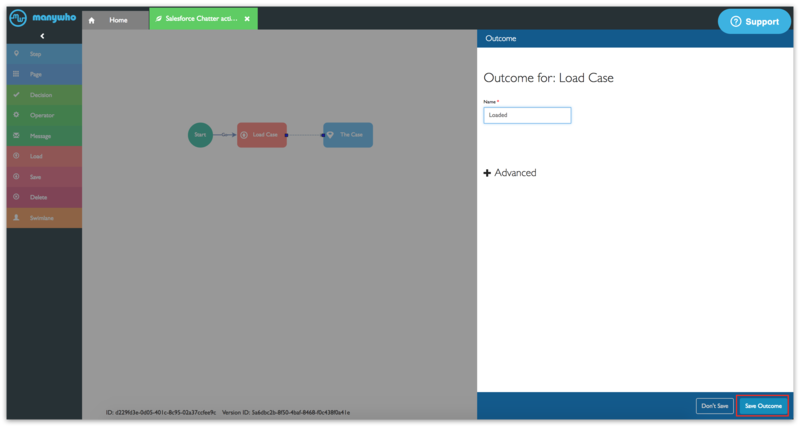 Drag an arrow from Start to Load Case. 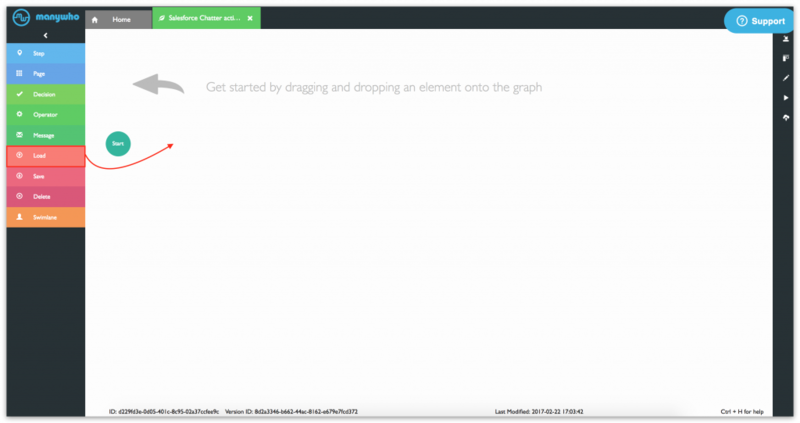 Hover your mouse on Load Case. The mouse pointer changes from a crossbar to a hand. Drag an arrow from Load Case to The Case. 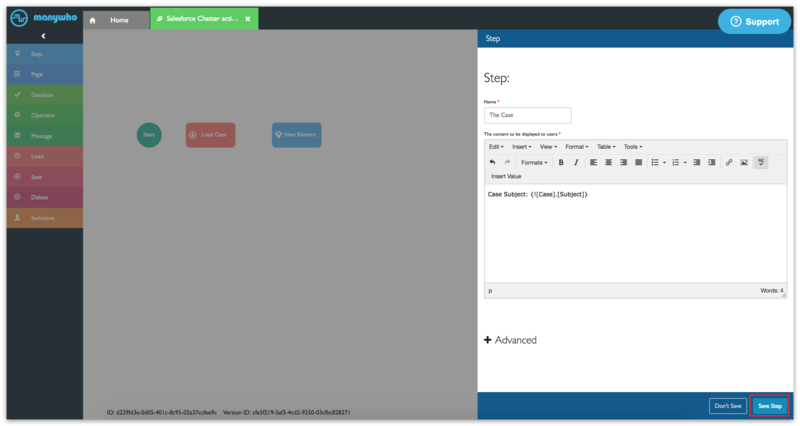 In the Configuration Panel, type Loaded in the Name field, and click Save Outcome. 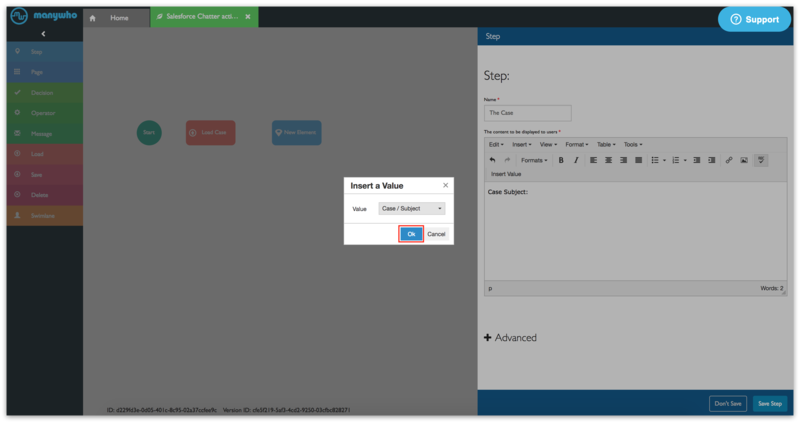 Click the Publish icon on the right-hand-side menu to publish your flow. You will be using the Flow ID in the following procedures. 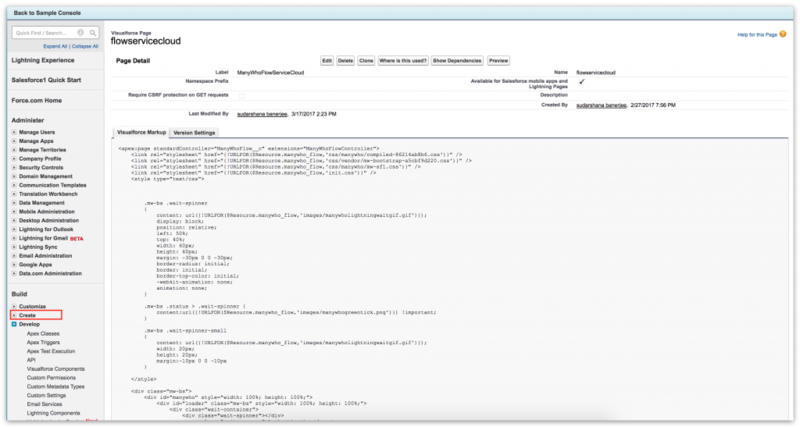 Create a clone of the ManyWhoFlow Visualforce page. Enter ManyWhoFlowServiceCloud in the Label field and flowservicecloud in the Name field. Click Create to expand the menu. 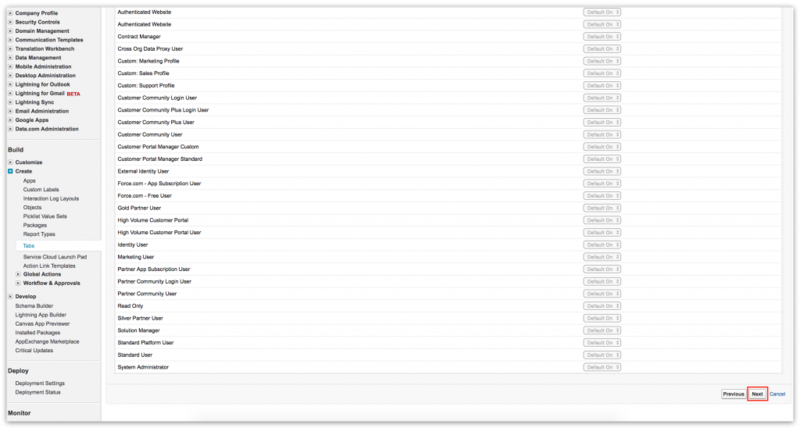 Click Tabs and then New under Visualforce Tabs. 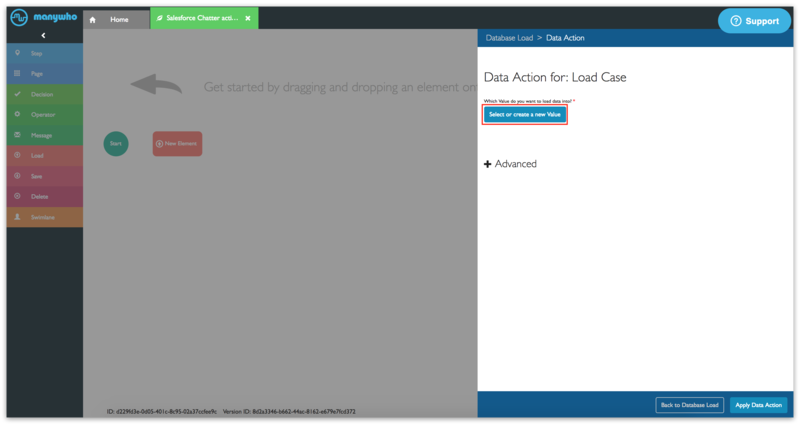 Select ManyWhoFlowServiceCloud as the Visualforce page. Copy-paste ManyWhoFlowService in the Tab Label and Tab Name fields. Click the search icon next to the Tab Style field. This opens the Tab Style Selector. Select a Tab style. Example: Guitar. This populates the Tab Style field with Guitar. Switch to the Service Console. You can see the flow as a tab in the Tabs section. Clicking on the tab, will launch your flow.